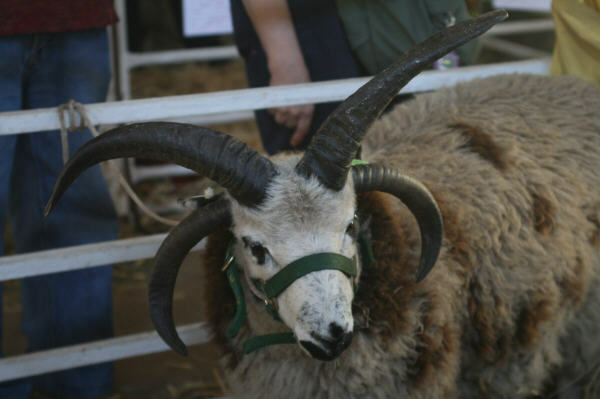 OFFF stands for Oregon Flock & Fiber Festival. 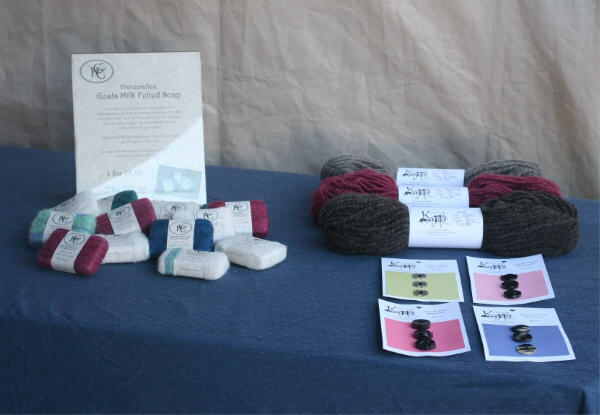 It is a large fiber festival located in Canby, OR. I left Friday mid-day with all my stuff packed. 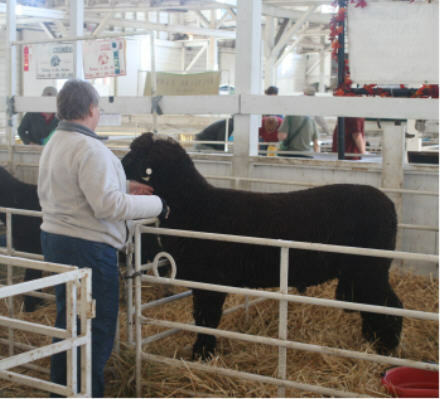 I didn’t take any sheep this year but my sister and I had a vendor booth plus I entered a couple fleeces in the wool show. I thought I had a lot of stuff in my car a couple weekends ago, but that was nothing 🙂 I had Kate, my border collie, Danica and Paisley, the whippet girls, my tent, 2 EZ Ups, camping stuff, 5 tables, my camera bag, several rubbermaid totes full of fiber, a dozen fleeces for show, sell, and to have processed, my spinning wheel, an ice chest, etc. I had to slam my doors shut on a couple fleeces in order to get it all in. I wanted to take some pictures of it, but my camera was in the middle somewhere and there was no way I was going to pack it a second time 🙂 Poor Paisley and Danica had to ride in a very small kennel, luckily it wasn’t a very long trip! 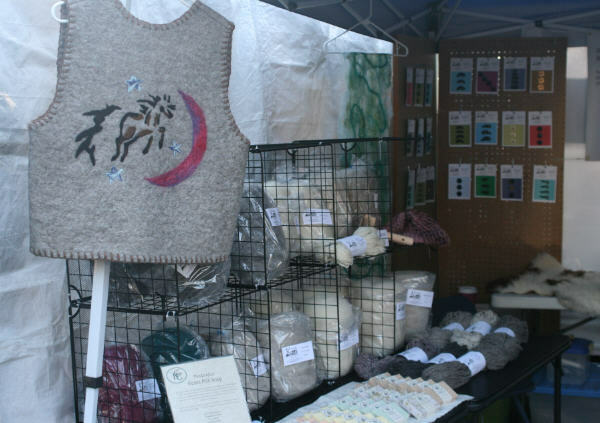 Here is a picture of our vendor booth, we had – felted vests and wall hangings, jacob fleeces, roving, yarn, horn buttons, and goats milk soap that my sister makes. It smells so good!!! One lady actually asked her if the soap was really made with goats milk??? She really wanted to be a smart alec and say “No, it just sounded good to put on the label!” but she very nicely explained how it was made. 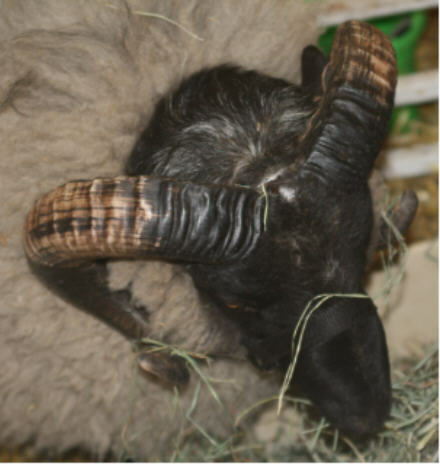 There was a nice showing of Jacob Sheep. This is Torrent, one of our 2008 lambs, that we sold earlier this year. 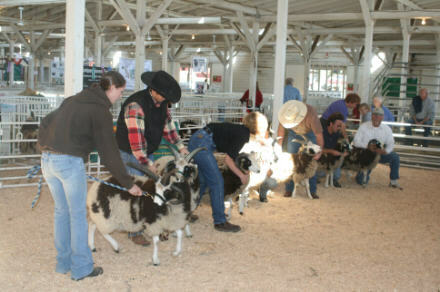 Here is a picture of the ram lamb class. Sleeping in the tent was quite an adventure. On Friday night there was a big football game and they shot canons off with every touchdown! They also had huge fireworks and a lot of cheering. But that didn’t come close to how loud the train was that travelled very close to the fairgrounds. The dogs kept me company on Friday night and Tammy from Wrensong Farm – along with her beautiful dog, Kylie, stayed with us Saturday night. Danica and Kylie had a lot of fun together and they really wanted us to let them off leash so they could really tear it up! The festival appeared to be well attended and as usual there was too much to see and too many people to visit with. It was sure great seeing you and spending a bit more time talking. Thanks (I think) for introducing me to Burgerville….enjoyed it so much I had to stop there again on the way home!! That is too funny 🙂 Sorry, I guess I should have warned you before we went there! I’m glad we don’t have one by us. 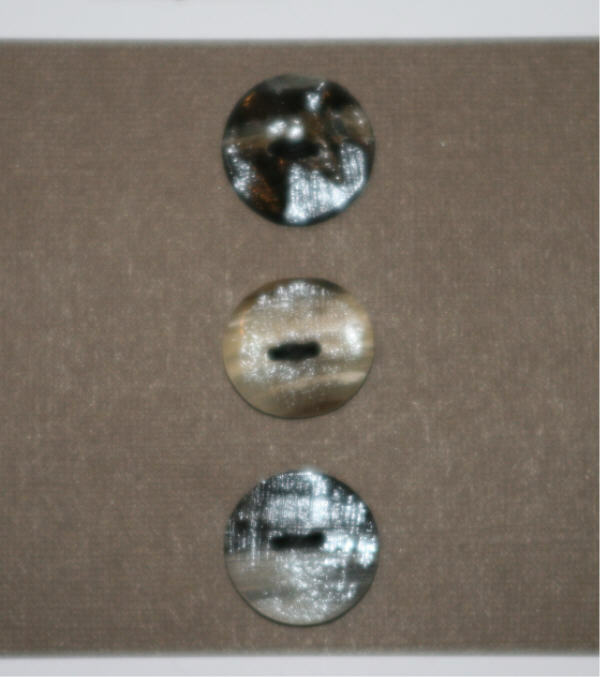 I so want to attend that particular Flock and Fiber Festival…maybe next year !How do you make your horn buttons ? Is is as easy as slicing the horn ? Your booth is nicely organized and eye pleasing ! The comment about the lady asking if the goat’s milk soap is made of goat’s milk reminds me of the comedian on the ‘Blue Collar Comedy Tour’, didn’t you just want to flash her a “here’s your sign”? KathyB. I came over here via Wrensong Farm and so glad I did. Lovely blog, and I, too, am really interested in how you make the buttons. The big rat show in Washington was the day before, and I slept in the next morning, then went down to Piccadilly flea market.